Yes, it’s the first time Bare Productions are at the Fringe. We are a collection of EUSOG veterans who, as students, were involved in productions such as Avenue Q (2014) and Little Shop Of Horrors (2015). We decided to launch this company to generate opportunities for Edinburgh-based theatre-lovers who wanted to continue theatre post-University. I think the biggest thing is our creation. It has been a whirlwind 10 months and we have been thrilled at the support we have received so far. We had our launch party back in November and then chose our show and now we are here ready to take on Fringe 2018. 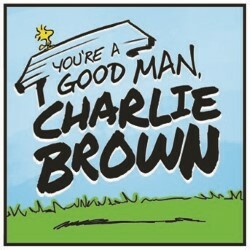 Our show is called “You’re a Good Man, Charlie Brown”. It’s a comedy musical about the Peanuts characters which was originally created in the 60s but got a fresh revamp on Broadway in 1999 where Kristen Chenoweth (original Glinda in Wicked) played Sally Brown. The show is like a snapshot-style musical. Lots of scenes which give insight into what life is like to be a 6 year old (or in the case of Snoopy- a dog). The best thing about the show is that it’s hilarious for all ages. Watching adults play kids is side-splittingly funny but the show isn’t remotely rude so great for children too. The show has 6 characters in it: Snoopy, Linus, Lucy Van Pelt, Sally, Schroeder and of course – Charlie Brown. We are hopeful to continue doing many more comedy musicals post-Fringe and are keen to continue Bare Productions into the future. They should see some of the other musicals that are on: Bohemians, EUSOG are doing Drowsy Chaperone and Footlights are doing American Idiot.